Tucked among the sand dunes and sea grass of New York City’s outermost barrier reef, a splash of color dominates the landscape. 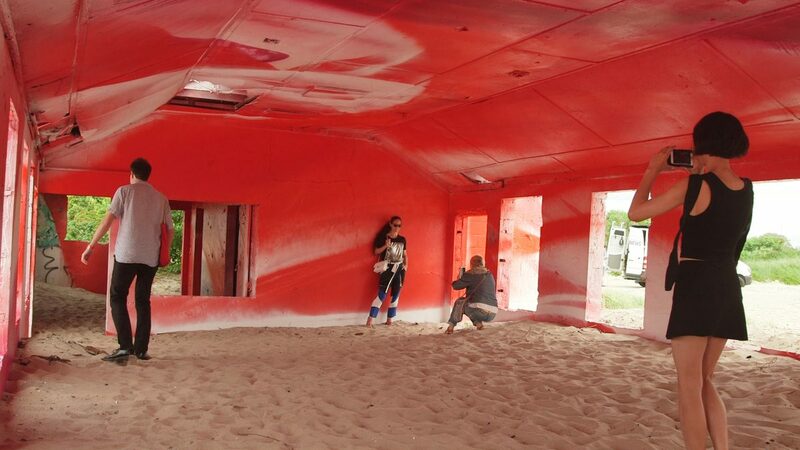 Its the latest addition to MoMA PS1’s Rockaway! 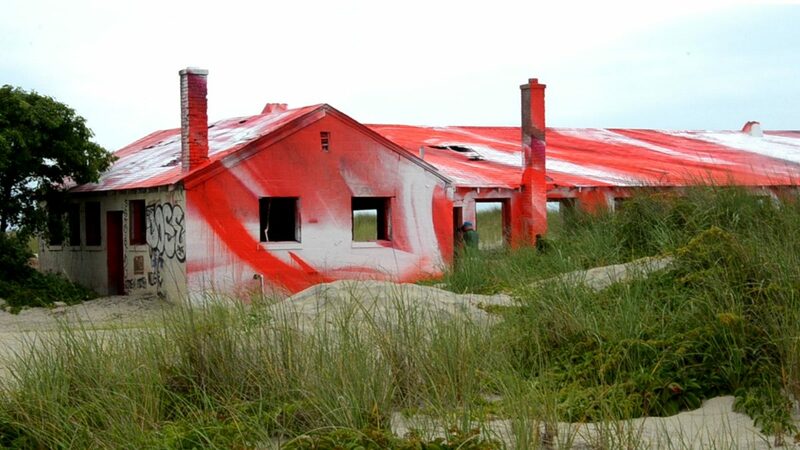 public art festival: an installation by Berlin-based artist Katharina Grosse, who covered an abandoned building at Fort Tilden, a former military base turned waterfront park, in vivid shades of red. The installation is located in the Rockaways, a neighborhood that has undergone a massive recovery effort in the four years since Hurricane Sandy brought significant damage to the oceanfront peninsula. Fort Tilden was established in 1917, the same year that the U.S. joined Britain, France and Russia to fight in World War I. The military base was positioned to keep watch over New York Harbor and, if necessary, be the first line of defense by air or sea. But eventually, the military site became defunct, and in 1974 it was decommissioned and taken over by the National Parks Service. The site is one of transition and occasional contradiction. It is part of a former military base that today defends nothing. It’s part of a group of man-made structures, which have been eroded by some of the city’s most unbridled nature. In the next year, it will likely be demolished to make way for more post-Sandy park restoration. Grosse said this state of transformation drew her to the site. 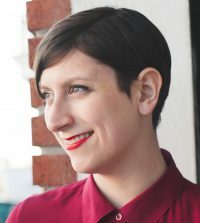 “I think that’s a fascinating moment where you’re in the present, but you experience it right now, all these possibilities of transformation,” she said. First, a team prepared the building site and blocked off a surrounding perimeter — then, she painted her first strokes in white. She followed it with three shades of red, which she alternated with white over the course of painting. In total, the painting process took a week. 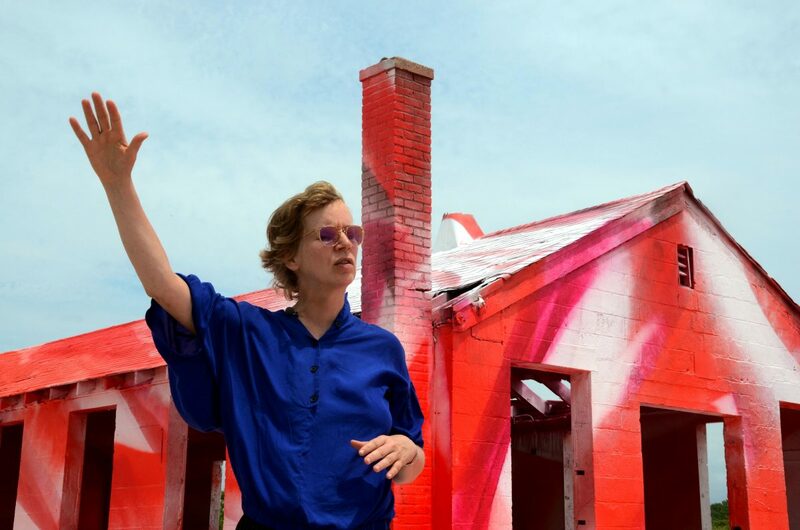 Klaus Biesenbach, curator at large for MoMA PS1, first encountered Katharina Grosse’s work at a building in the Lower Ninth Ward in New Orleans. The neighborhood, located on the precipice of a levee that broke during Hurricane Katrina in 2006, bore some of the greatest damage of the storm. Even as redevelopment efforts continue throughout the city, empty lots and abandoned buildings remain a common sight in the Lower Ninth Ward. 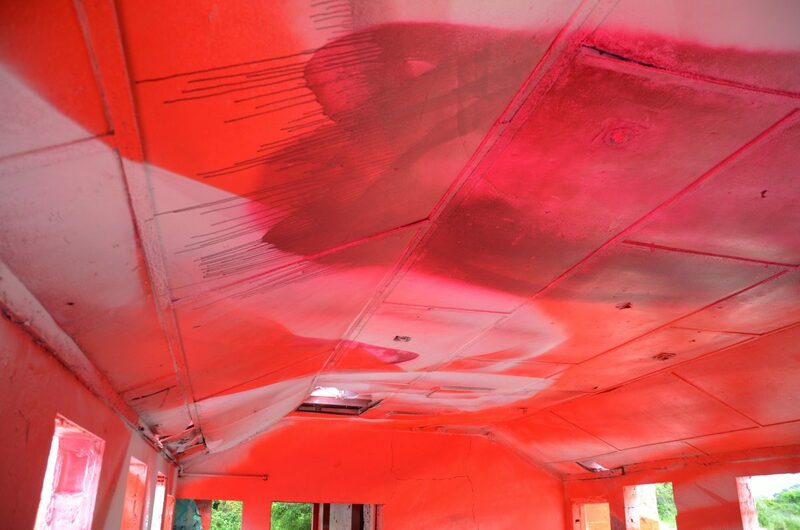 In 2008, Grosse painted one of those buildings with bright orange strokes for “Prospect.1,” a piece at the New Orleans Biennial. As she painted, “you would literally see a mass of water” just beyond the levee, she said. “When I was there, you could feel it in your fingertips that this was a very dangerous spot,” she said. 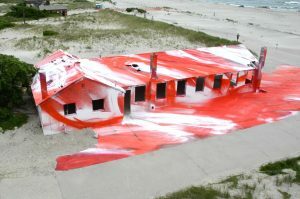 After seeing that project, Biesenbach invited Grosse to develop the space in Fort Tilden, which was a former aquatics center on the military base. Biesenbach said he wants the exhibition to foster dialogue about the surrounding environment and how to plan for future storms. The piece will be on view at the Gateway National Recreation Area at Fort Tilden in Queens, New York, through Nov. 30.